I've done a little rearranging on the blog here. But no worries, it's still the same old me. Just a (hopefully) improved version of me. What started out as just a place for me to write privately has grown into something bigger. Much bigger. 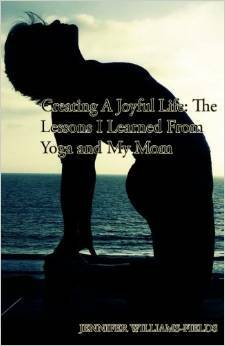 Originally the blog was titled YogaLifeWay because, at the time, I was building an independent yoga business and that was the name I was using. The business was successful, but due to life's circumstances, it never really had a chance to take off. And I'm OK with that. Life changes and we have to change with it. I've always loved the Diapers, Detentions and Downdogs description and I want to keep that. That is my life. I no longer have diapers to change (hallelujah! ), but as long as the independent, sometimes obstinate Fields kids are in school I'm sure I'll still have detentions to deal with. And I'll never get rid of downdogs. But that's a bit too much. Because, really, that's what it's all about. Creating, and recreating as necessary, I life I love living.